I have been making homemade chicken stock for a while now. It’s super easy. The other day, I had a chicken de-boned and rolled by my butcher and he gave me (well I’m sure I paid for it!) the carcass. Out with the slow cooker again! Chicken stock is such a staple in my house, I have the concentrate in the fridge constantly (will post that recipe soon too). **UPDATE: here is the chicken stock concentrate recipe. I use the liquid for poaching, soups, marinades etc. It’s just one of those ‘all in and leave it’ recipes. Homemade chicken stock really is very easy. 1/2 Tbsp peppercorns (omit for AIP). 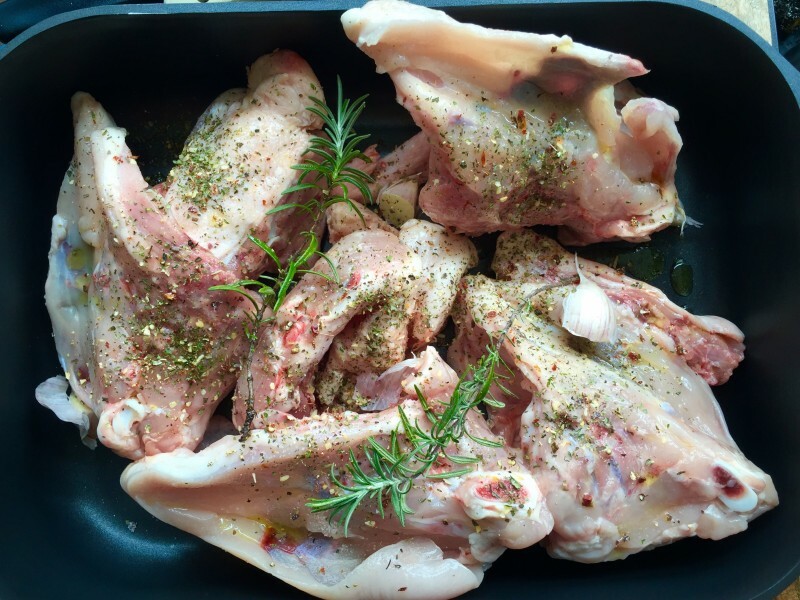 Put the chicken carcass in the slow cooker, add apple cider vinegar & cover with water. Toss in the vegetables & herbs. 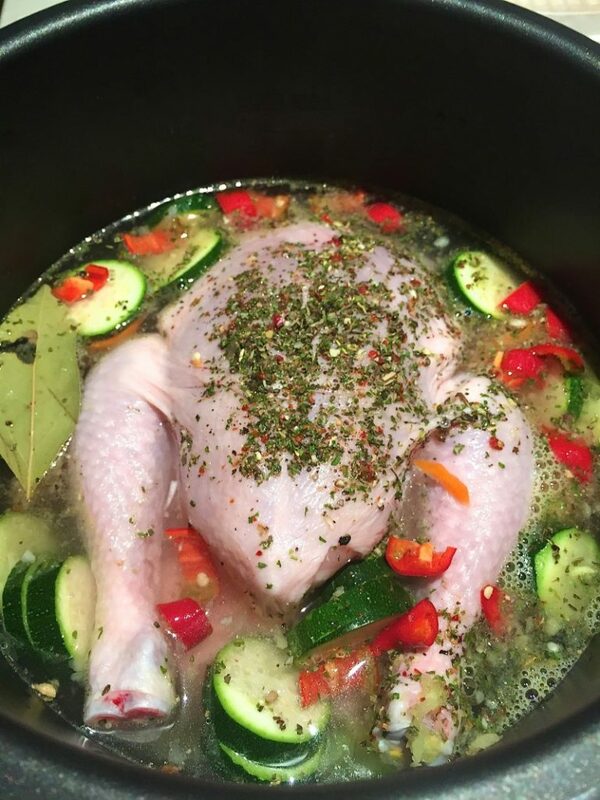 Soak for about an hour before cooking to help the ACV start to break down the connective tissue – this will make for a more gelatinous broth/stock which is great for our joints. Let it cool, remove the carcass and any big chunks of vegetables/herbs. ** You can also pour it into silicone muffn moulds, freeze it, pop them out when frozen and keep them in a bag in the freezer – then you can just pop 1 or 2 into a recipe when it needs it.